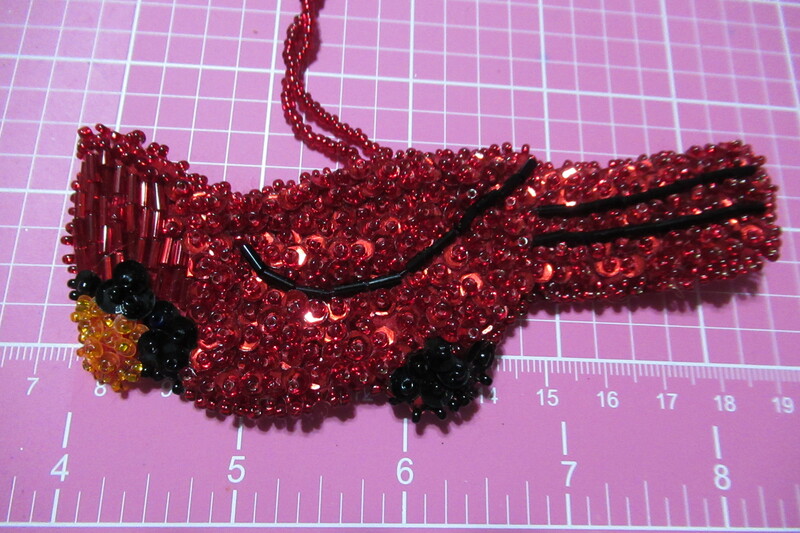 Here is the link to my new YouTube video. 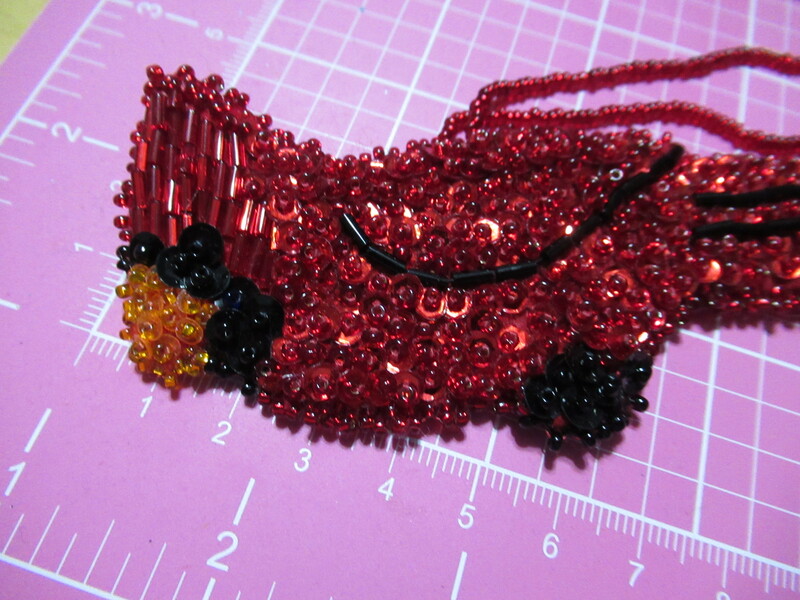 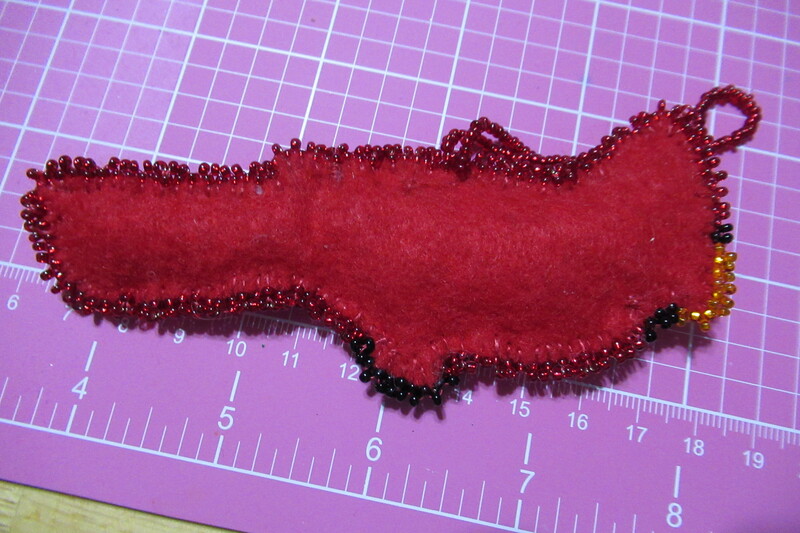 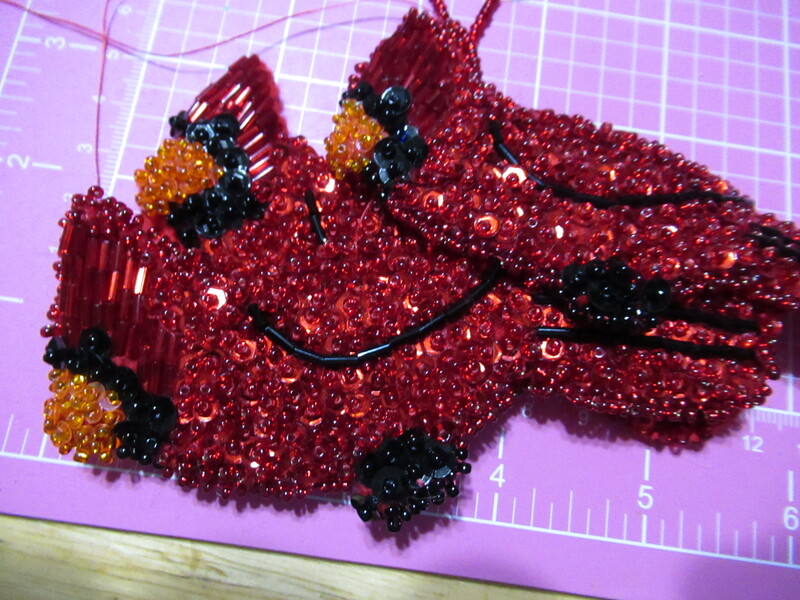 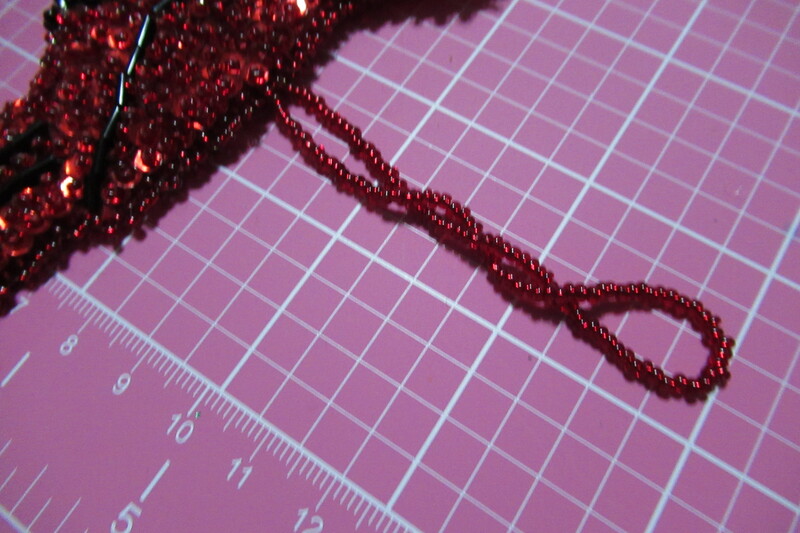 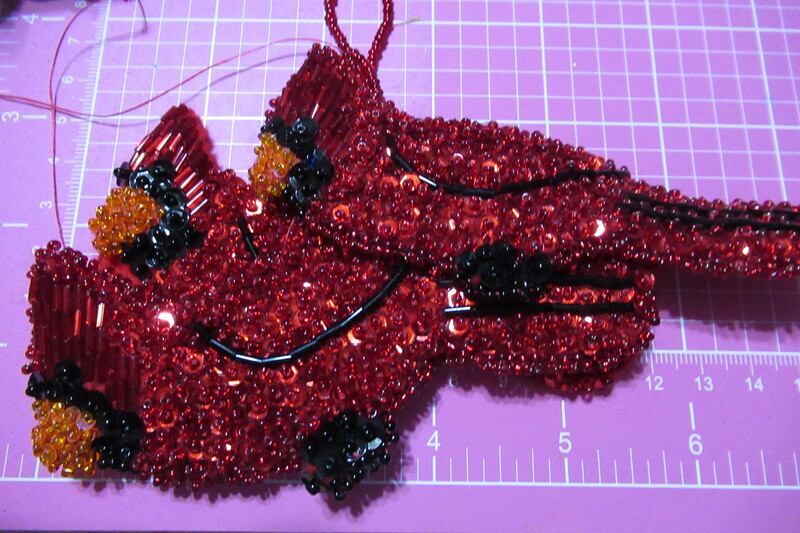 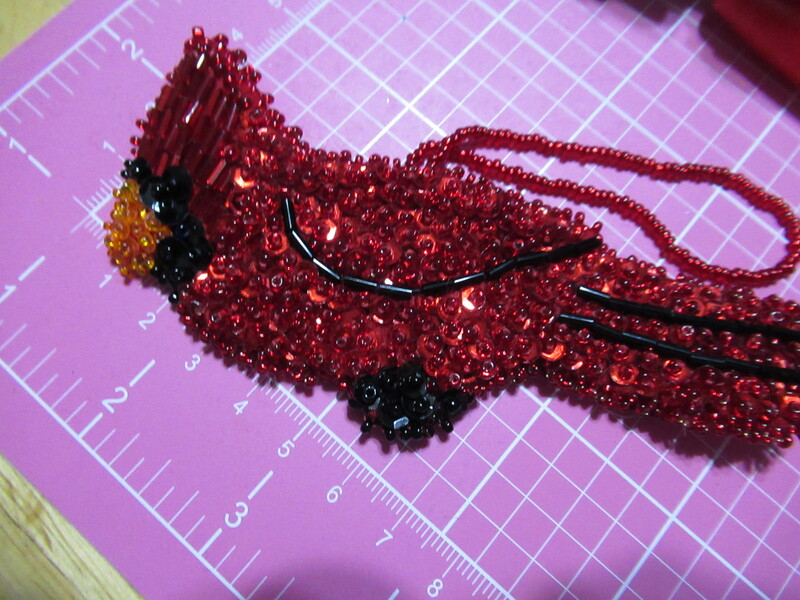 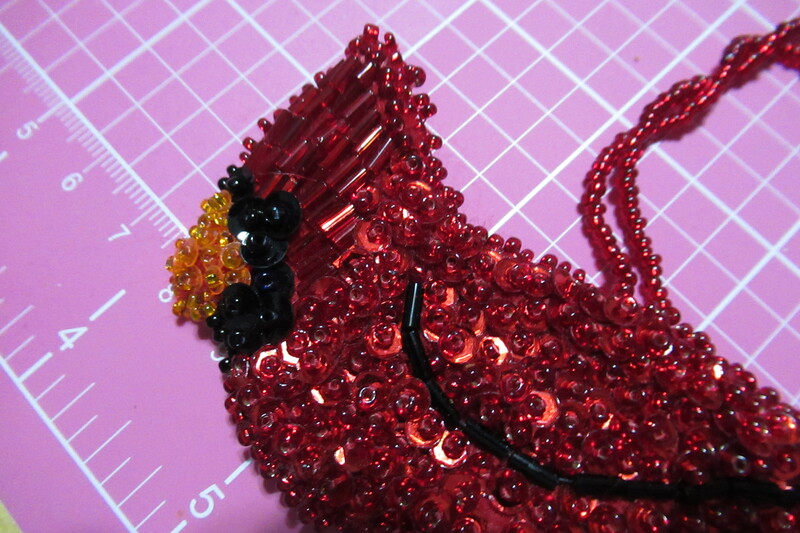 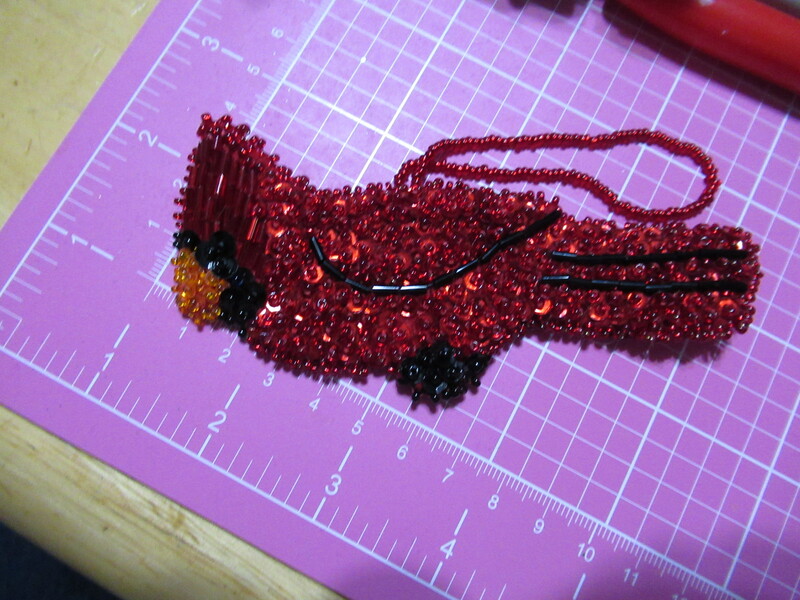 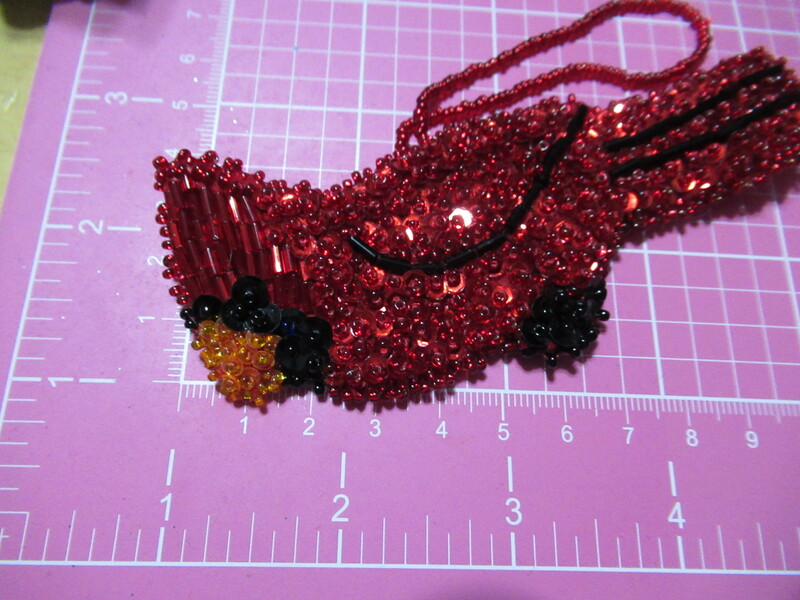 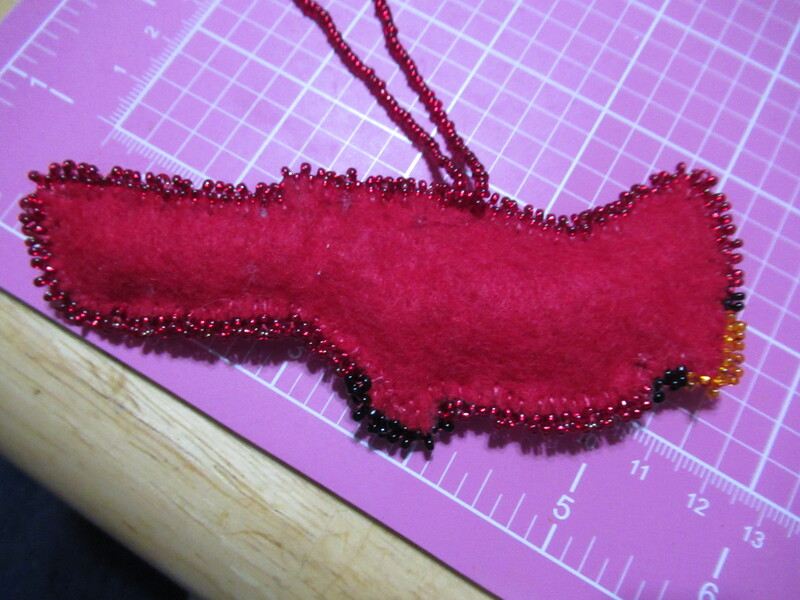 I made this pretty cardinal ornament and want to share this tutorial !!! 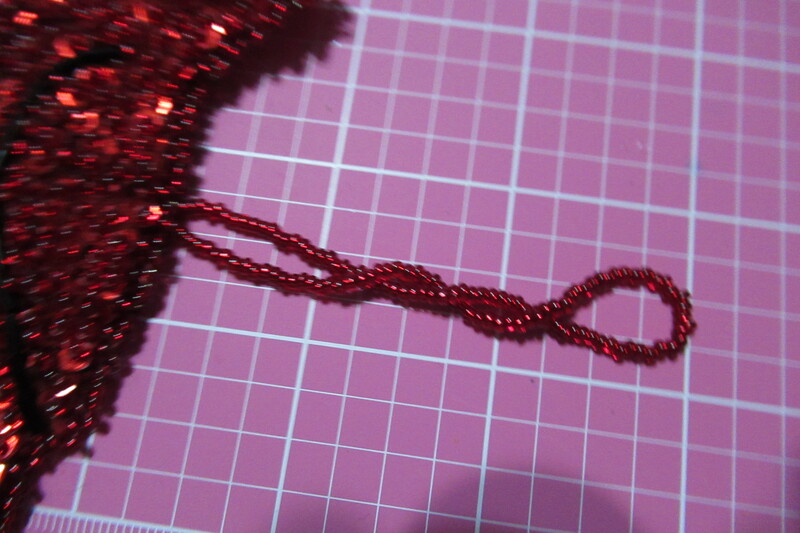 I have pictures below the link of the ornament to show the size of it and show the detail. 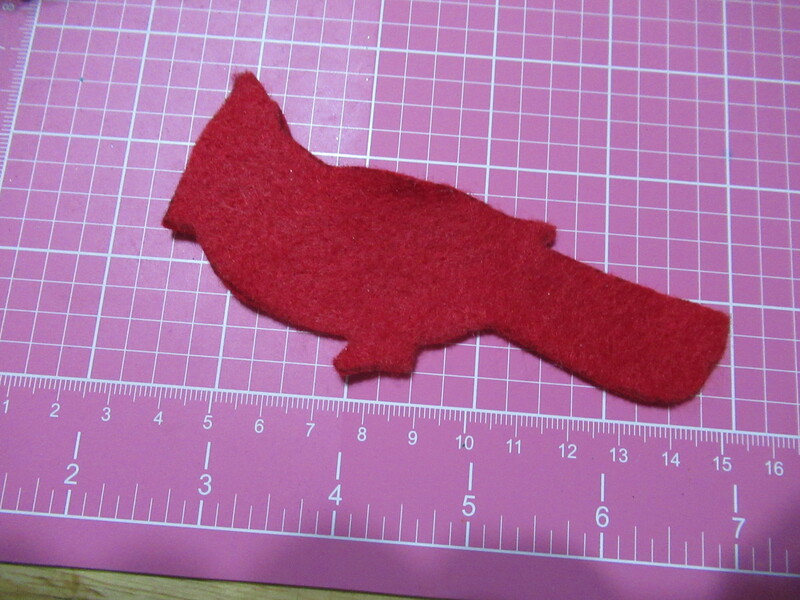 Here are some pictures of the ornament and I put the felt cut out on my cutting board as well for you to see the size. 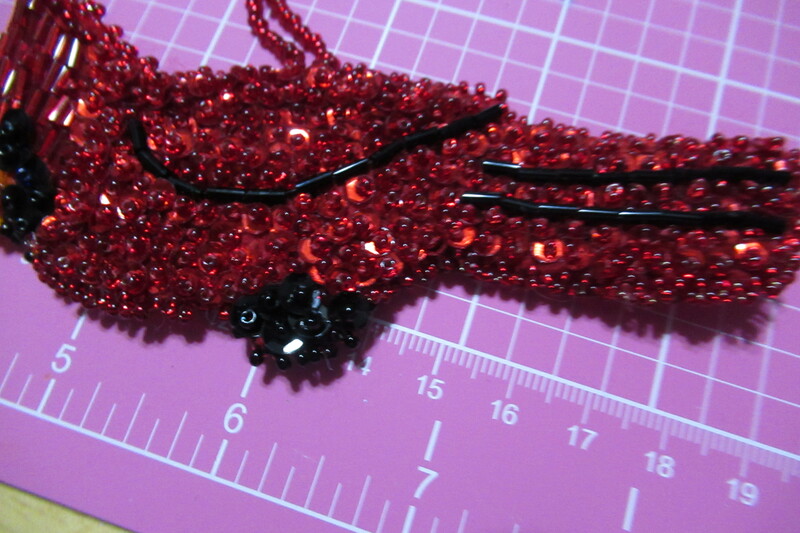 approx 1/8 of an inch for both colors.